The BeleNe! 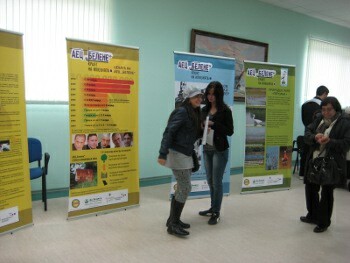 Campaign is organized by the NGOs Za Zemiata, the Foundation for Environment and Agriculture and Blue Link. Main goal is to inform the Bulgarian society on the environmental and economic dangers inherent in NPP Belene construction at 3 levels – regional (including part of Romania near the border), national and international. The organizations have been working together on the anti-nuclear theme in Bulgaria over the last couple of years: Each of the organizations has specific thematic and expert know-how and approach and/or geographically delineated area of operation with greater focus. 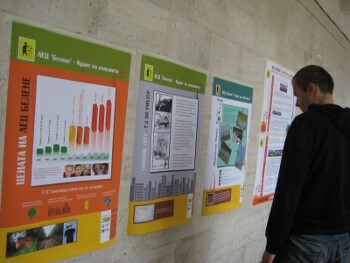 The media environment for the project has already changed – partly due to the efforts of the NGOs. Bulgaria had a very strong pro-nuclear media coverage - now there is more dialoge. 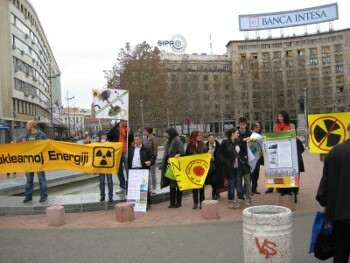 The Bulgarian NGOs Za Zemiata and Green Policy Institute, together with several Serbian organizations – Center for ecology and sustainable development, the Environmental Ambassodors, Bells coalition – organized a protest in front of the Serbian Parliament on 8th December 2010. The protests were against the Serbian involvement in the Belene NPP project. The Serbian government is considering getting 5 % share in the new nuclear power plant. 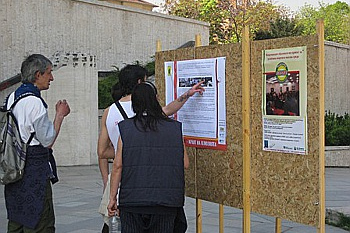 The protest and rally around the Parliament gathered around 60 people – environmental activists and citizens. A press-conference was given afterwards aiming more detailed information about Belene NPP project to be given to the Serbian society. 15 different media representatives were present and the events received broad media coverage. Serbia is a non-nuclear country with legislation forbidding the construction of nuclear power plants. Its involvement in this project is a bad example of double standards. This was the second protest against Belene NPP – the first one took place in November 2010.
a Meeting of Bulgarian mayors of 100 km. zone with Bulgarian Prime Minister. Some other meetings with these mayors before. Press-conference. An Information campaign about the nuclear waste in the areas around Kozloduy and Belene will be conducted . Output will be a brochure for distribution – 10000 issues for the towns and villages around. The team will prepare, arrange, print and distribute it. 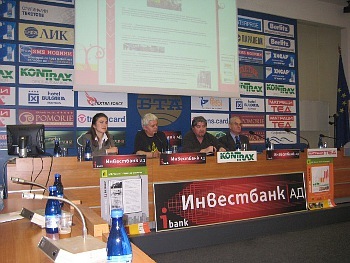 The Bulgarian JP NGOs have organized the first round table on Aarhus and nuclear which took place in Oct. 2011. In total, the organization of 3 round tables "Aarhus and nuclear" as part of the initiative European round tables on Aarhus until June is planned. The Bulgarian JP-NGOs have used Aarhus a lot during the anti-Belene campaign - they have required information continuously and often have received none. There also were some court cases. The last things they wanted to receive on information were the contracts for Belene NPP; the documentation that Rosatom has given to the Bulgarian government regarding Belene NPP. The information request has been denied. They have used very much the right of access to information on my reserch of the uranium mining in the country.